Gael is a Learning Development and Innovation Lead, tasked with driving learning through innovation. 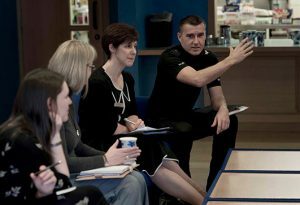 Gael focuses on the design and delivery of world-class training and professional development in collaboration with justice sector partners and the wider Scottish workforce. Gael has had a varied career in the third and public sector since volunteering as a mental health advocate in 1998 which she did until 2005. Advocacy has always been an area of interest with Gael working in paid and voluntary capacities, as a volunteer advocate for someone leaving Gogarburn hospital and making the transition to the community; working as an Advocacy Coordinator (Learning Disabilities) and then as a Kinship Care Advocate. Gael worked for 6 years developing and delivering substance use programmes, resources and peer education projects for young people and those working with young people before becoming a national trainer for Youth Workers delivering sessions on substance use, peer education and resilience and self-esteem; as well as delivering 10 week volunteer mental health advocacy training. At this time Gael also worked as a Youth Worker with young people from the Black and Ethnic Minority community in North Edinburgh. Gael then worked for a period as a freelance trainer/group worker delivering training on Working with Young people on Self-esteem and Resilience, New Psychoactive Substances, Carer Awareness, The Equalities Act, Sexual Health and Relationships (with young people). Gael also was part of Families Outsides Helpline Advisory Group as well as delivering the “Raising Children with Confidence” 8 week course to parents and carers. 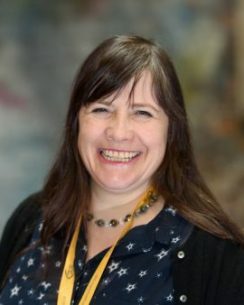 Gael then worked for the Edinburgh Alcohol and Drug Partnership as a Substance Use development officer for Children, Young People and Families, as well as managing the City of Edinburgh Council’s Risk Taking Behaviour team, delivering sessions to S4 pupils in Edinburgh schools. 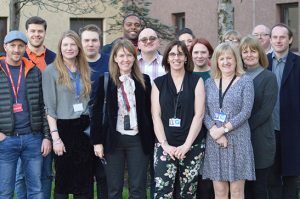 Gael worked at NHS Lothian as a Sexual health Youth worker at the Chalmers Centre and was part of the SHARE (Sexual Health and Relationships Education) trainers group. Gael then went on to manage the Visitor Centre at HMP Addiewell working with families affected by imprisonment.